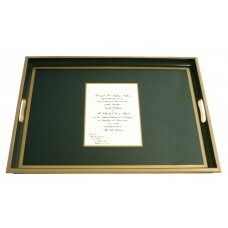 Glass Based Wedding Invitation Tray available in four colours: Black, Bottle Green, Burgundy and Oxford Blue. Lady Clare Ltd, Oldends Lane Industrial Estate, Stonehouse, Glos. GL10 3RQ. 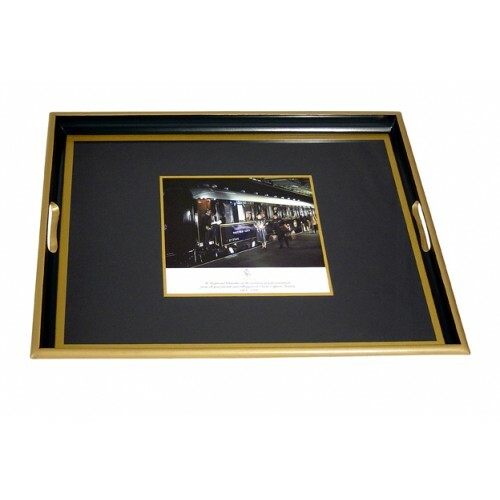 Size: 21-3/4" x 15-1/2" (550 x 395mm). We are sorry, but with regard to any new orders for this bespoke item, delivery is currently approximately 8 - 10 weeks. For any urgent requirements please call us before placing your order or with any other questions.